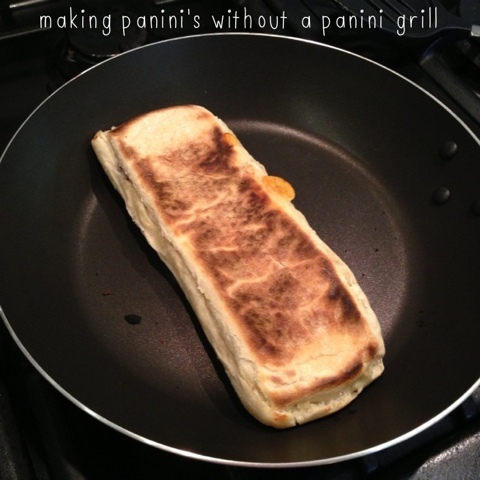 We love panini's, I especially love cheese and marmite panini's from Starbucks. Since we've had the chickens our breakfasts usually consist of eggs one way or another, I thought that I'd try and make something different and decided to make panini's, the problem is we don't have a panini grill/machine(?). I tried those panini pockets you put in the toaster, disaster, all the melted cheese just ran down to the bottom of the bag and the outside was burnt! My second attempt was much more successful, It did take a couple of attempts to get the timings and process sorted out, initially I toasted, then melted but they lost that toastiness on the outside and gooey melted cheese on the inside!! I also had to throw one away as I burnt the cheese in the microwave. 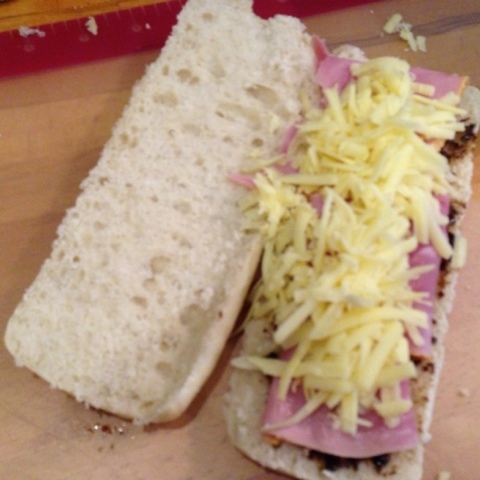 I started off by spreading the panini with marmite, I then added ham and topped with cheese. I popped these in the microwave for 1 minute to melt the cheese, once the cheese was melted I put the panini in a really hot frying pan to toast the outside. It worked like a charm. For mine, I just omitted the ham. I've added a few panini pins to my pinterest board lunches and snacks if you'd like to take a look.